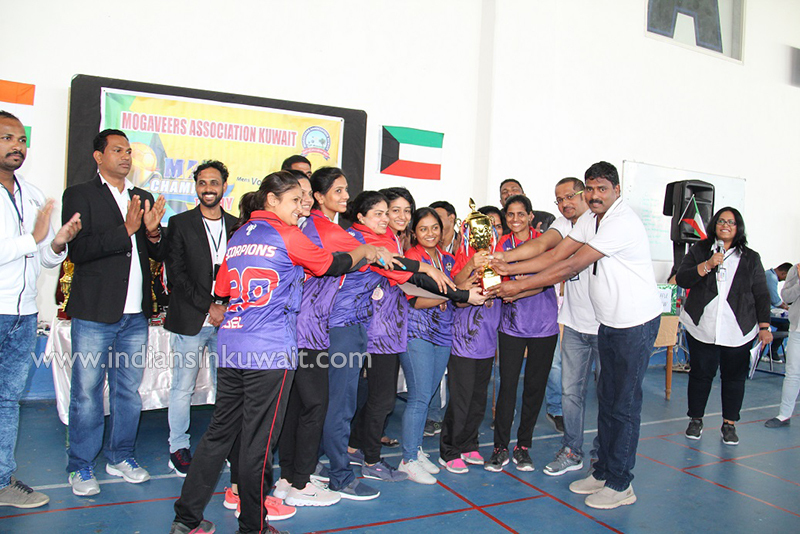 Mogaveers Association Kuwait, Affiliated to Indian embassy Kuwait, is the community welfare association of non-resident Mogaveeras, based in Kuwait. 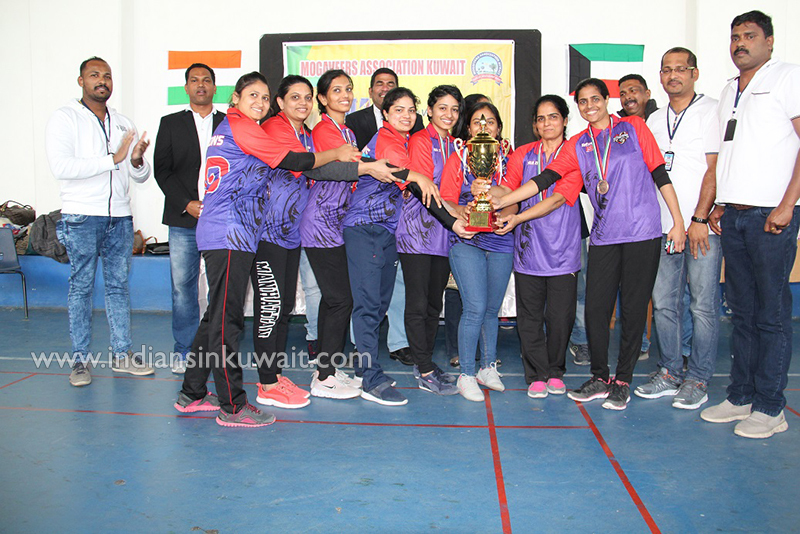 For the third time MAK organised, National level Volleyball & Throw Ball Tournament under the title of “MAK Champion Trophy 2019“on 25th February 2019. 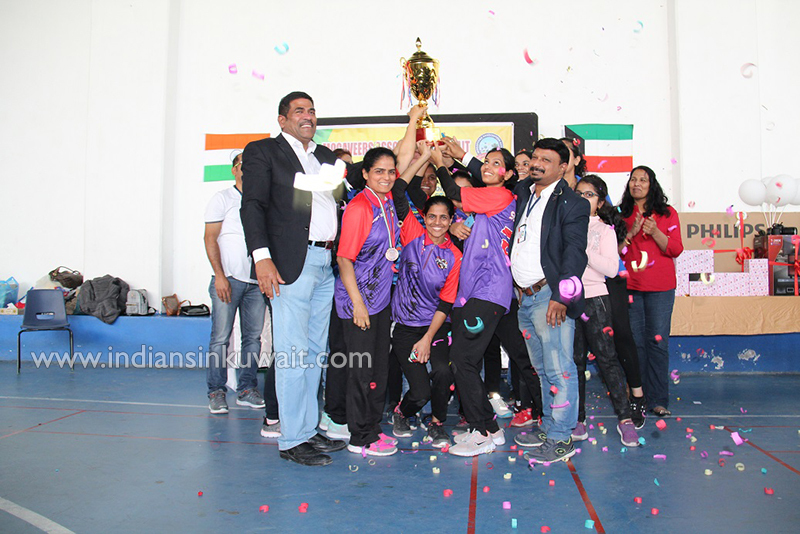 The tournament was held at American International School Maidan Hawally, Kuwait. 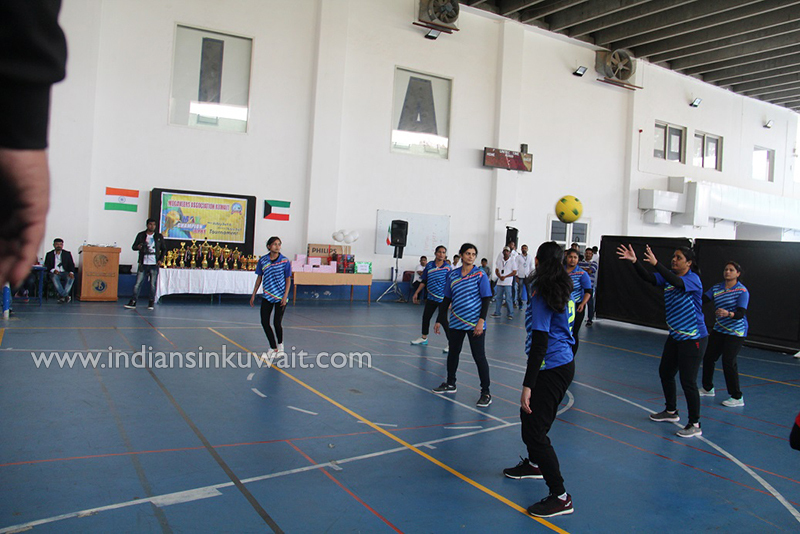 The tournament coincided with the National day of Kuwait celebration. 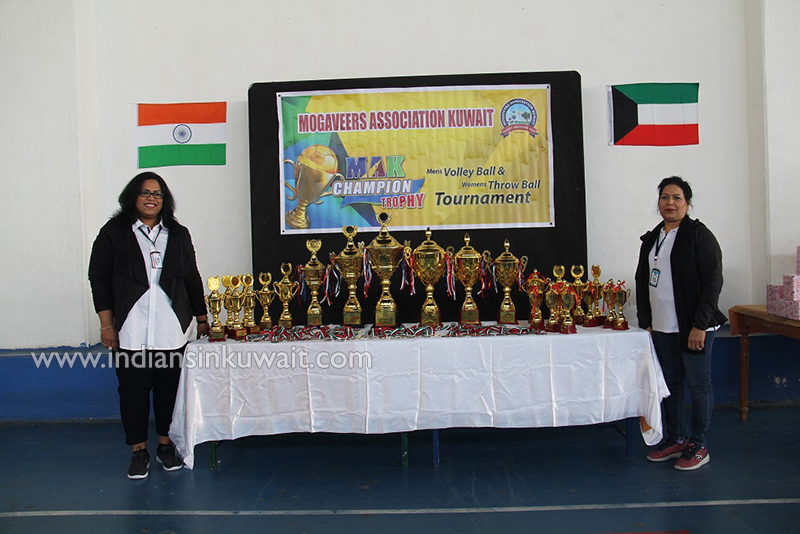 The weather was pleasant, the participants & the MAK members were all geared up for the tournament. 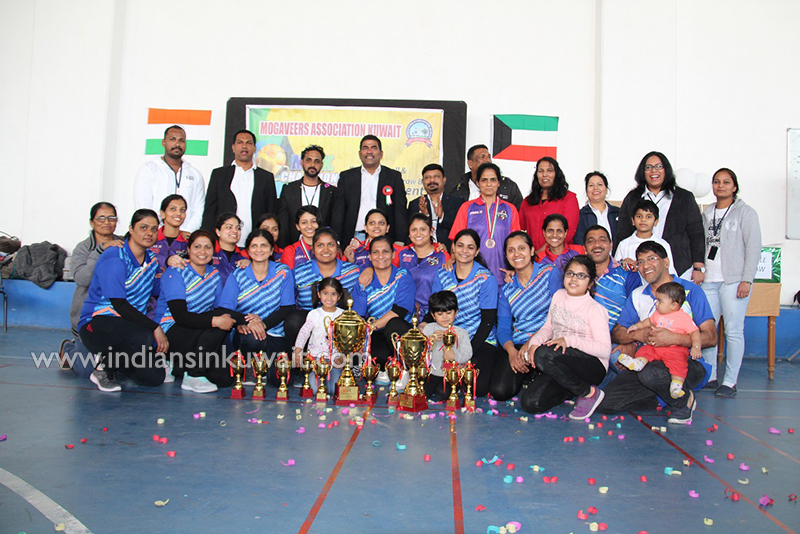 The day long tournament commenced at 7.30 am with a grand opening ceremony headed by Mr. Suresh Salian. 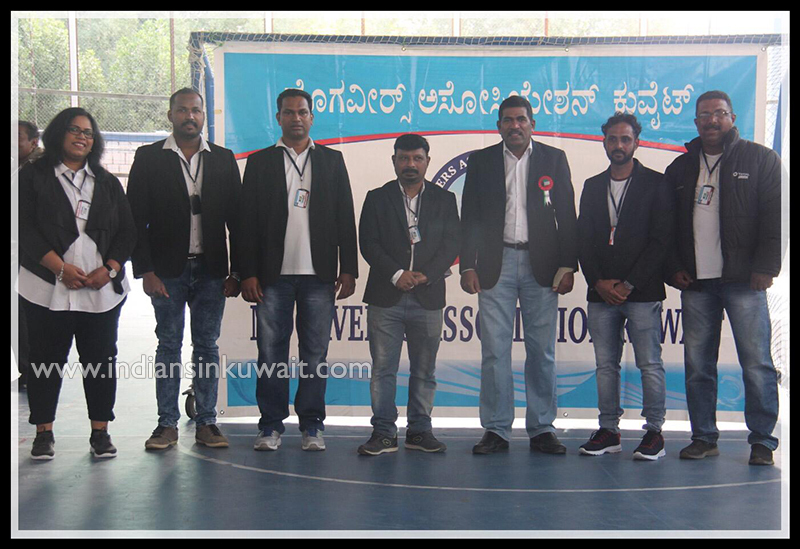 On behalf of MAK Management Committee Mr. Nishanth Salian, welcomed all the distinguished guests, participating teams, MAK Management Committee, MAK members and all the sports enthusiasts. A special prayer was also made for martyred soldiers of Pulwama Attack. was not able to come due to unavoidable circumstances however he sent his best wishes for the Event. 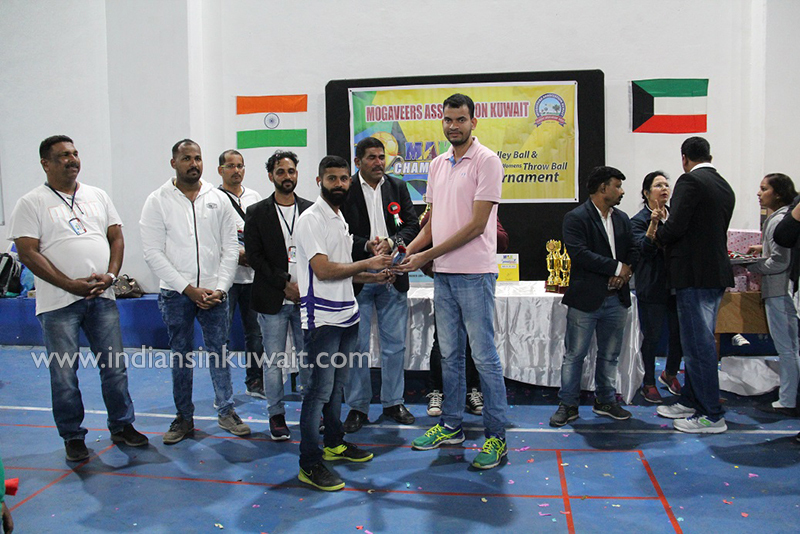 Mr Noel Cutniha Captain of Boubyan Strikers (Volley Ball) & Mrs Juliet Dsouza Captain of Dragon Queens (Throw Ball) were honoured for their excellent contribution towards sports in Kuwait & also for their outstanding support for MAK. 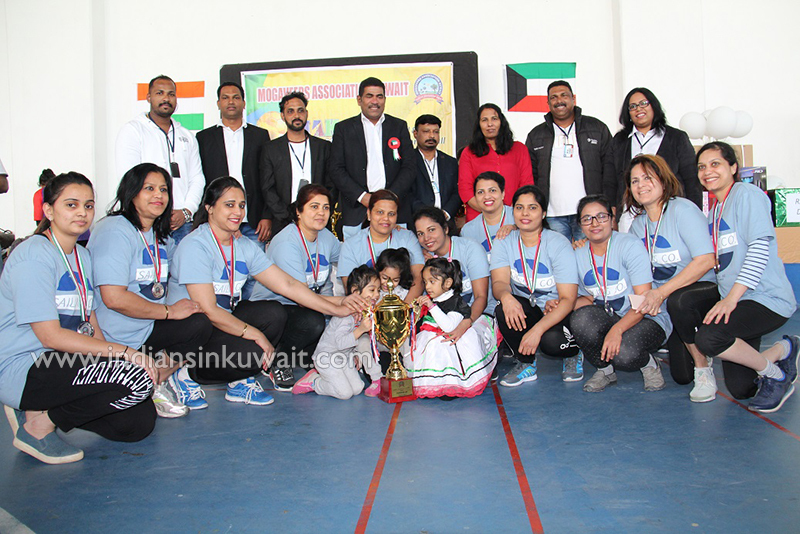 This was followed by the National anthem of Kuwait and India. 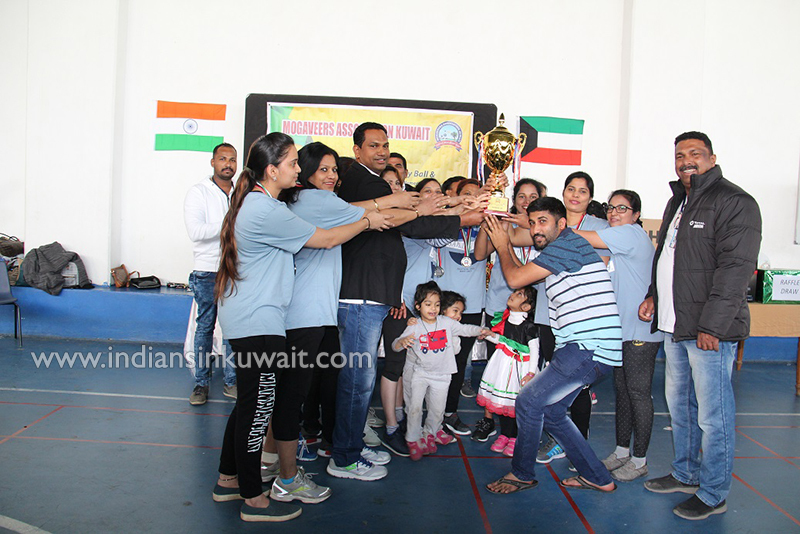 The other guests for the day Mr. Abdo Abboud Chidiac -incharge of American International School Indoor Stadium Kuwait who has given outstanding support to MAK,Mr.Manoj Bangera-Advisor of Billava Sangha,Mr.Valli Sanctis - Bussinessmen & the one who has always been supporting MAK since inception,& Mr. Jagadeeshwara Shanubhogue -Exec Committee Tulukoota Kuwait. 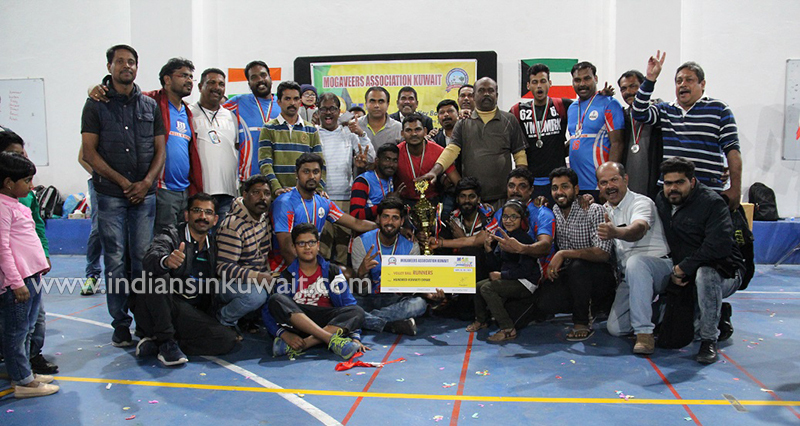 The guests conveyed their best wishes and good luck to the participating teams and organizers. 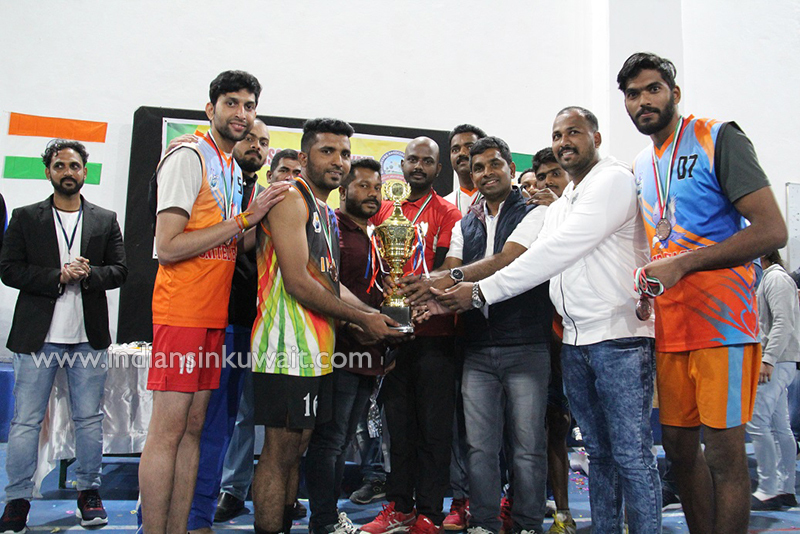 Mr.Rajesh Mendon, President of MAK in his speech welcomed the gathering and stressed the importance of playing with true sportsman spirit and thanked all the teams for their support as this event is done for MAK welfare projects. 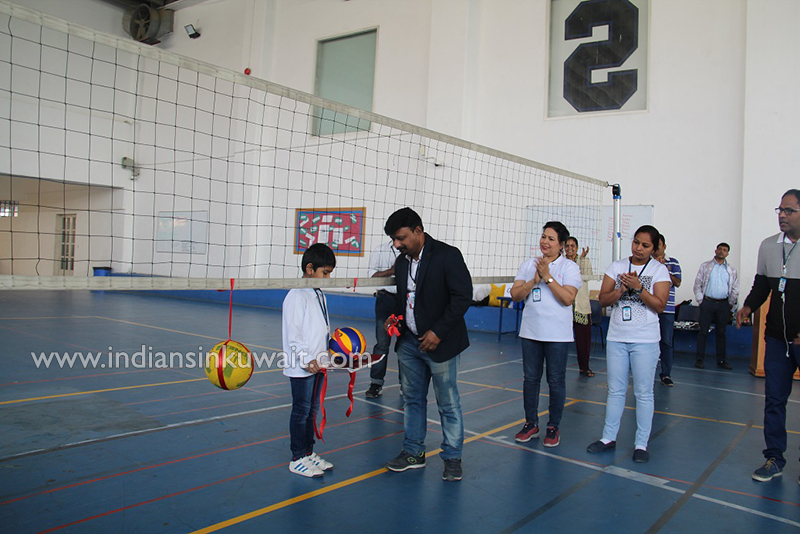 The president of MAK Mr.Rajesh Mendon & the General Secretary Mrs.Poonam Mendon inaugurated the Volley Ball & Throw Ball tournament by cutting the ribbon & serving the ball to the captains of the teams respectively. 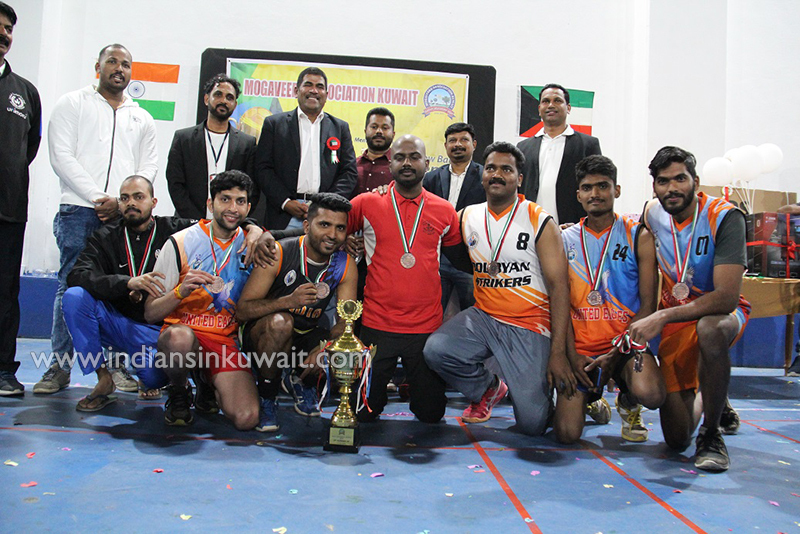 United Eagles, Bell & John KSAC, Boubyan Strikers Al Rai, Kuwait Mahboula Volley Ball Strikers,MAK Tigers, Boubyan Strikers Dajeej, Kunjal Friends & Salmiya Strikers. 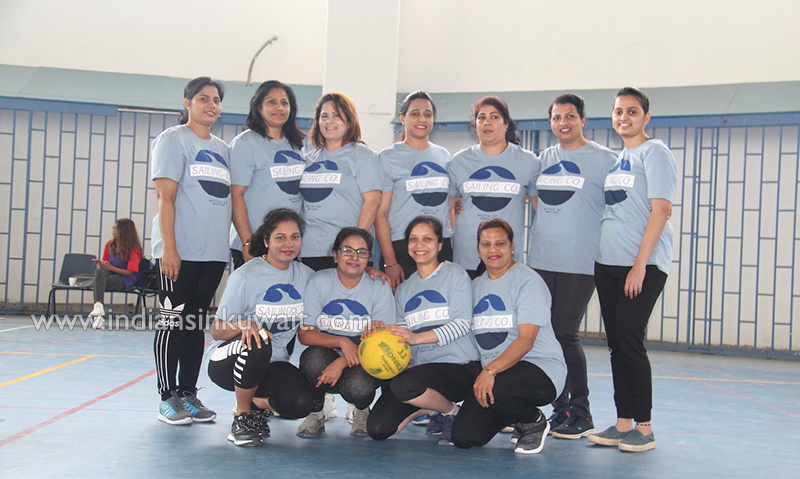 The volleyball inaugural first round match started between Team United Eagles & Team Bell & John KSAC & the first round of throw ball inaugural match was between Team Alfa & Team Scorpions .The teams played with full enthusiasm and viewers enjoyed and experienced the spectacular show. 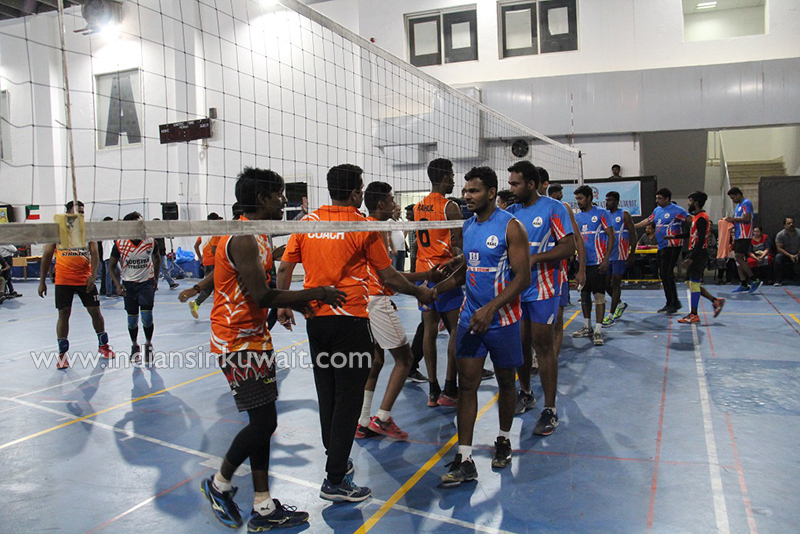 As the day progressed matches kept rolling one after another. 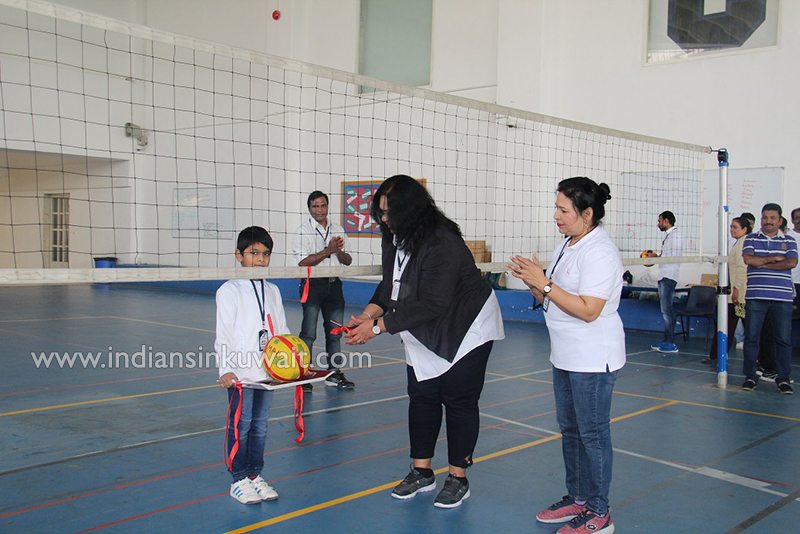 The referees for Volley Ball were Mr.Alexander Mathew & Mr.Sainuddin. 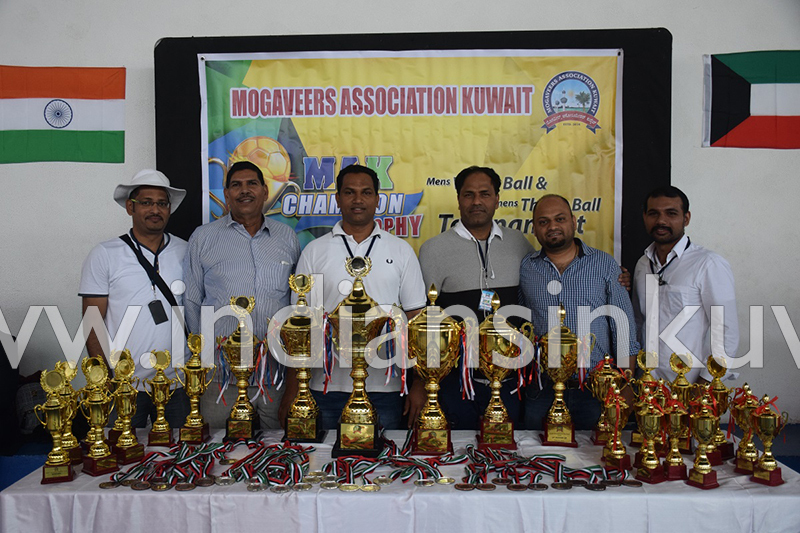 The referees for Throw Ball were Mr.Ivan Dsouza & Mr.Arun Mendon. 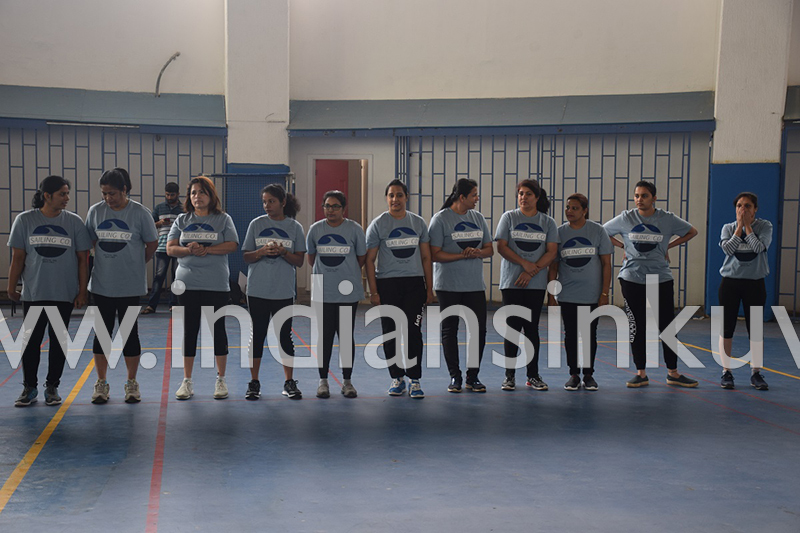 The scorers for Throw Ball Team were Mrs.Geetha Suvarna , Mr.Sachidanada Suvarna & Mr.Rakshith Suvarna. 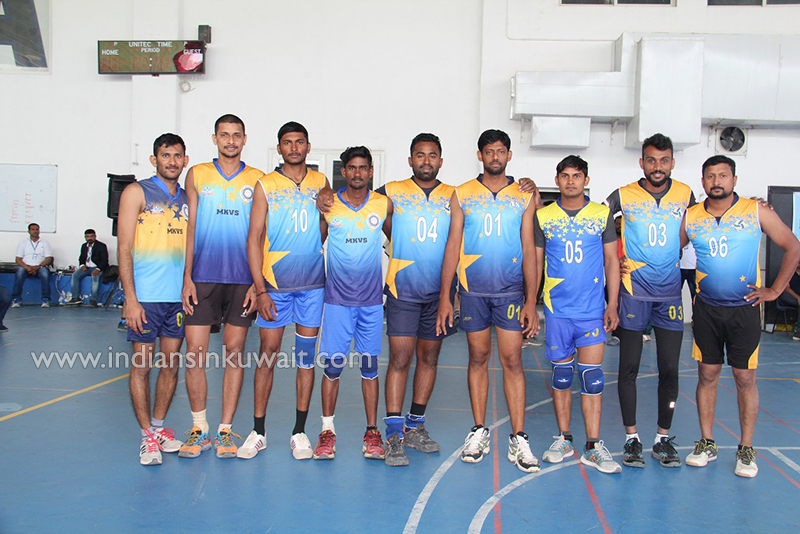 The scorers for Volley ball team were Mr.Kishore Kotian & Mr.Nithin Suvarna. 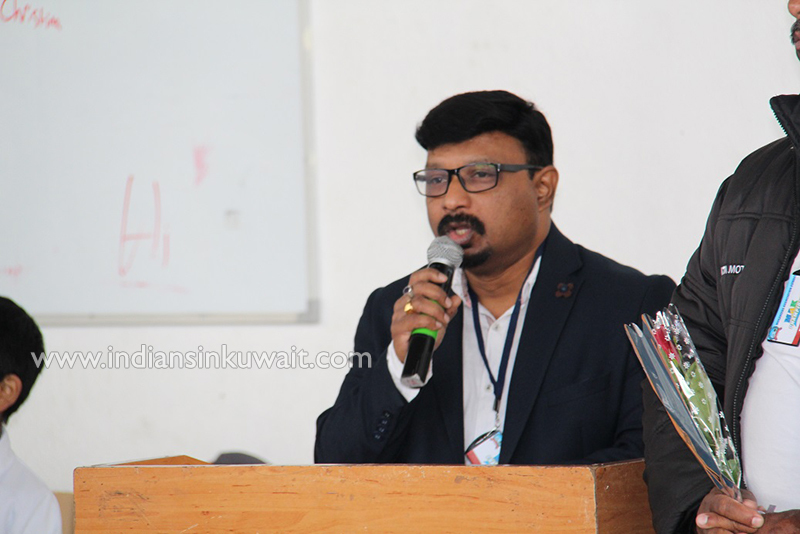 The announcements was done by Mr.Suresh Salian & Mr.Kishore Kotian. 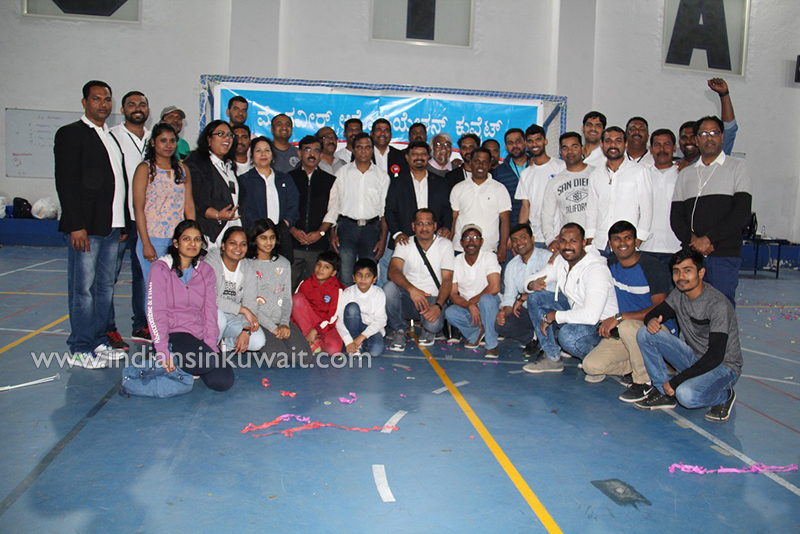 Sumptuous Breakfast, Lunch & snacks was provided by RoyalStar Caterers. 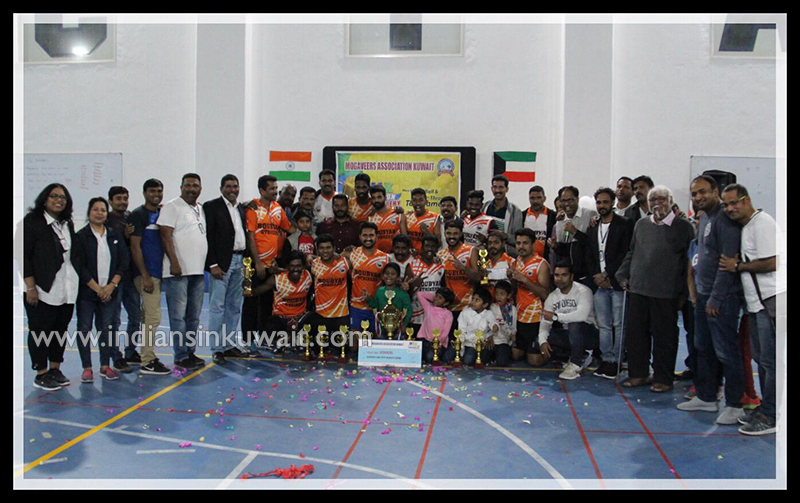 Beautiful moments of the day were captured by the MAK photographers Mr.Paresh Karkera , Mr.Kiran Kumar & Mr.Nishanth Salian. Design of Brochure & Banner by Mr.Sachidanada Suvarna. Wonderful Back ground Music By DJ Rakesh Suvarna. 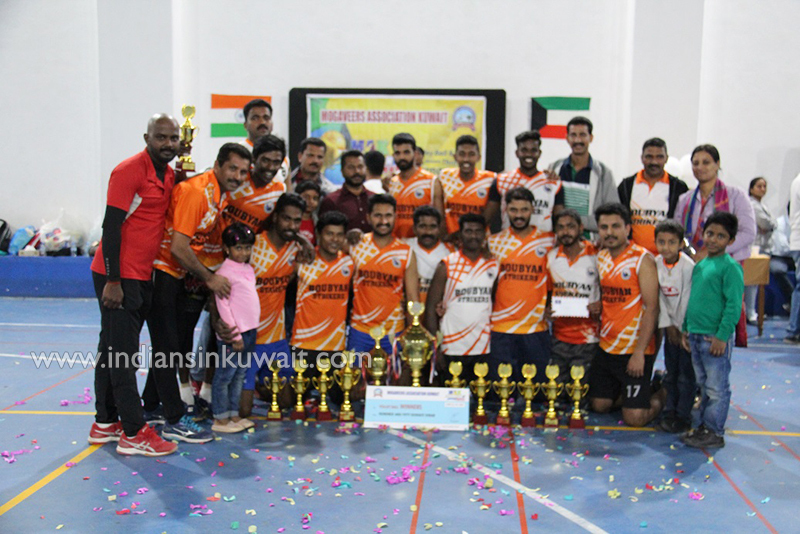 The Volley Ball ended with a finale of Final matches between Team Bell & John KSAC & Team Boubyan Strikers Dajeej After a tough Battle between the two strong teams, Team Boubyan Strikers Dajeej bagged the Winners Trophy & Team Bell & John KSAC were declared the First Runner up.The second runners up trophy was won by Team United Eagle. 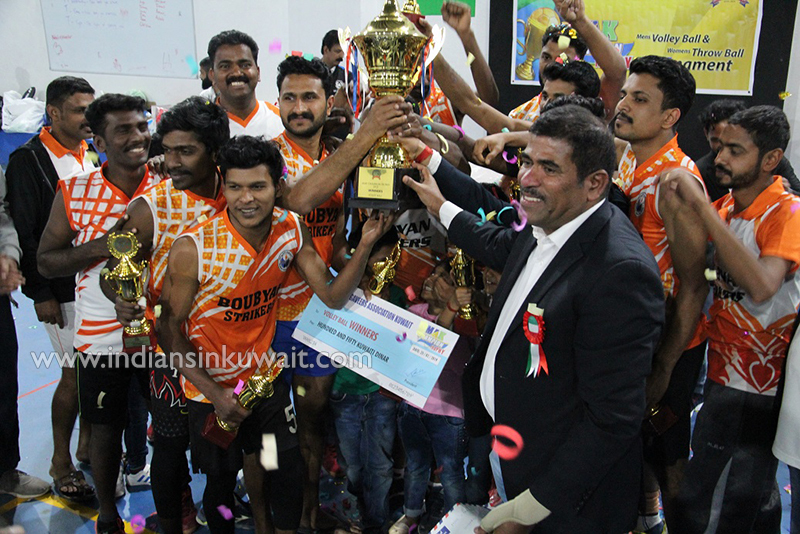 MAK Player of the tournament for Volley Ball was secured by Mr.Evin Edward of Team Boubyan Strikers Dajeej. 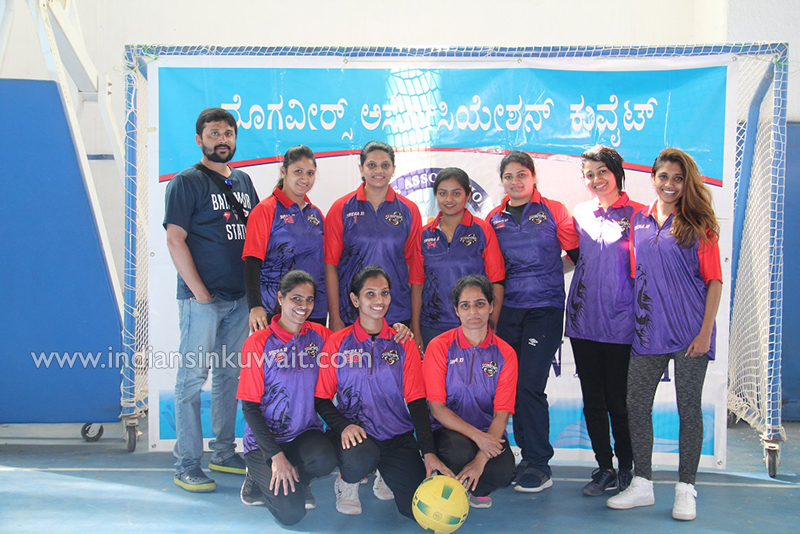 On the other hand, throw ball tournament ended with League matches. 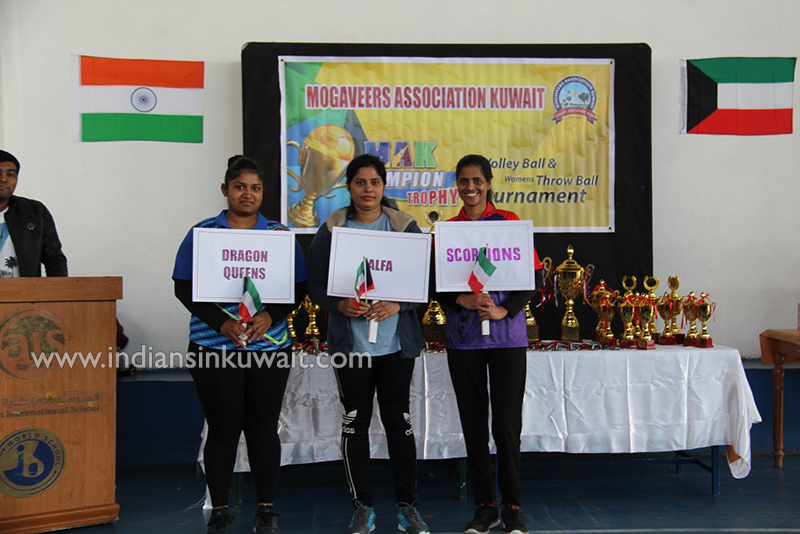 Team Dragon Queens defeated the opponents and became the Hatrick winners for the Third Consecutive year. 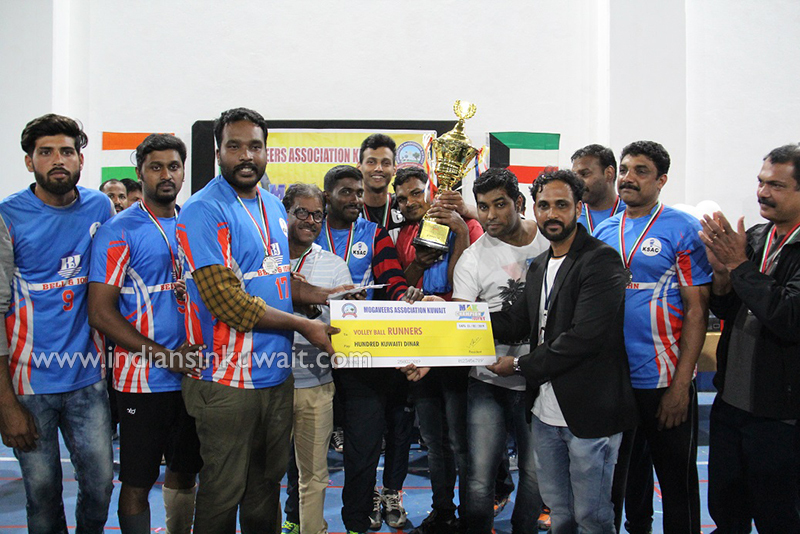 1st Runners up was won by Team Alfa and Team Scorpions stood up as the 2nd Runners. 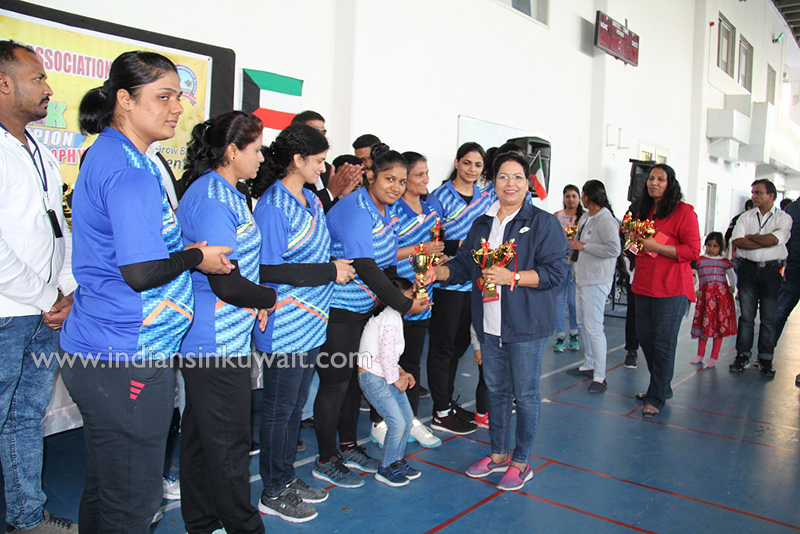 MAK Player of the tournament for throw ball was secured by Mrs Jacintha Fernandes of Team Alfa. 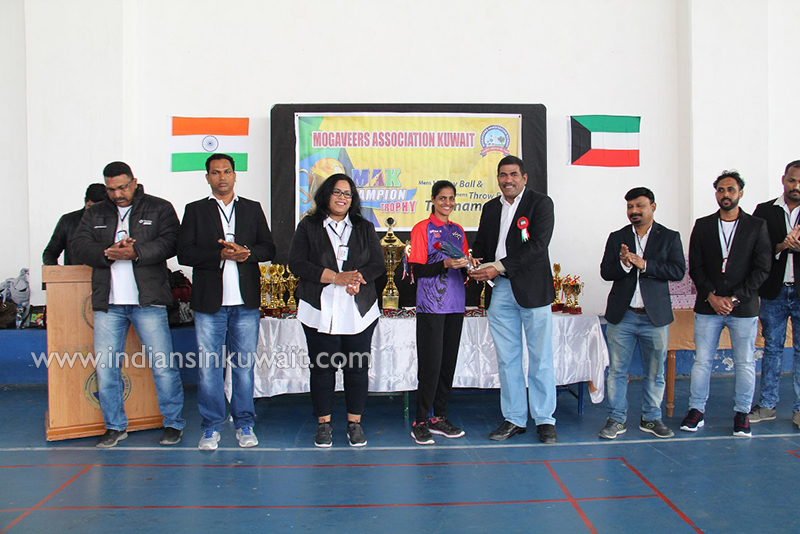 Prize distribution ceremony Mr.Shibu Paul Managing Director Boubyan Gas Company Graced the prize distribution ceremony As a token of respect he was presented with a florel Bouquet President Mr.Rajesh Mendon & Convenor Mr.Ramesh Kidiyoor awarded the trophies and medals to winners, whereas the MAK members gave away the trophies & medals to runners up team & the individual achievers. 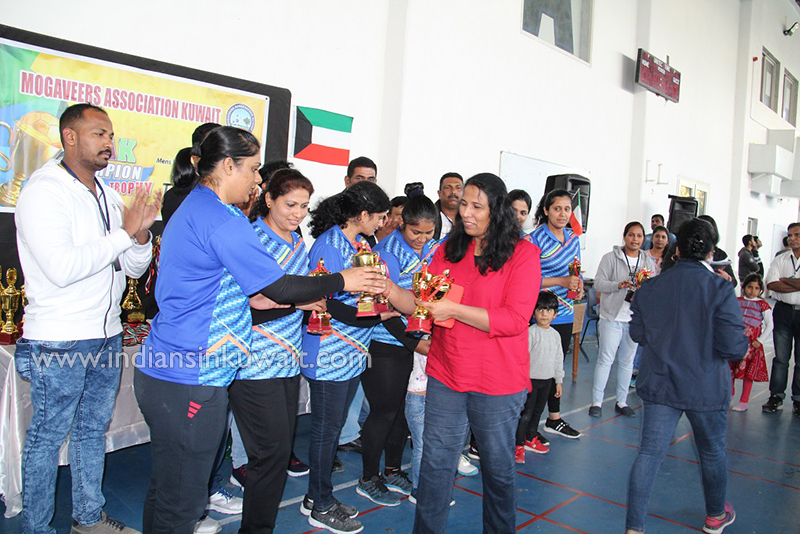 In her vote of Thanks Mrs.Poonam Mendon thanked each and everyone who were responsible for the success of the tournament, Participants,sponsor’s, organisers, MAK Vounteers, MAK management Committee & Executive Committee. 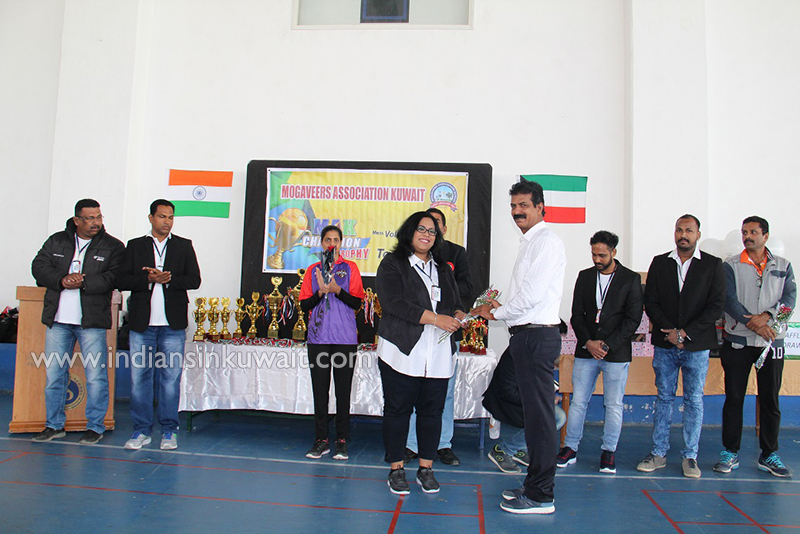 Finally a special thanks was given to the Management & Staff of American International School Maidan Hawally for the awesome venue.